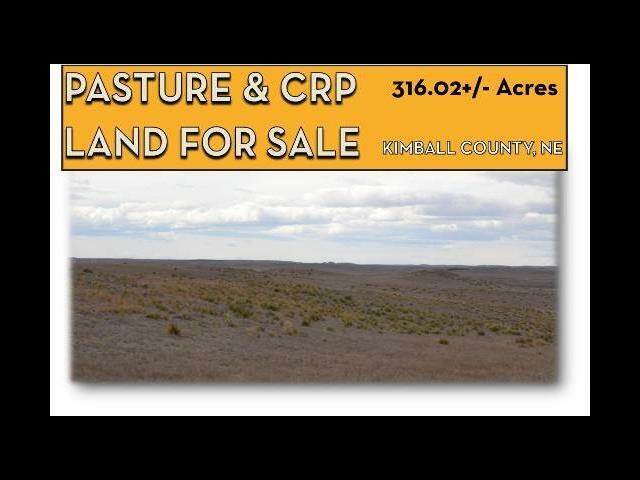 Call Reck Agri Realty & Auction about the W of Kimball, NE Pasture & CRP for Sale, Kimball County, NE. 266+/- ac Pasture & 49+/- ac CRP. Great location for horses & livestock. 1 windmill in the pasture provides water for livestock. Good perimeter fence. Property located 5.1 miles west & south of Kimball, NE. 19 miles east & south of Pine Bluffs, WY. CRP contract pays $1,291 per year and expires in 2020. Seller conveying all owned mineral rights. Excellent hunting opportunities for whitetail deer, mule deer & antelope! Possession upon closing. 316+/- Total acres.